Berkery Noyes Advises Collect Rx - Berkery, Noyes & Co., LLC. 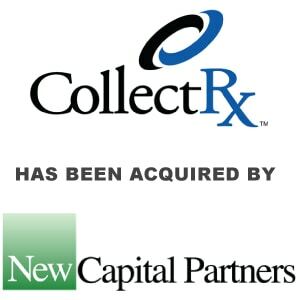 New Capital Partners has acquired Bethesda, Maryland-based Collect Rx, a revenue cycle management company. No financial terms were disclosed. Berkery Noyes was strategic and financial adviser to Collect Rx on the deal. BIRMINGHAM, June 20, 2018 – New Capital Partners (NCP), a private equity firm, today announces that is has acquired Collect Rx, a leading revenue cycle management (RCM) company. The company leverages its Business Intelligence (BI) engine to analyze claims and increase reimbursement for healthcare providers. Collect Rx services providers through appeals and negotiation management, as well as traditional RCM services. The company works with over 800 surgery centers, hospitals, physician-owned practices, laboratory diagnostic facilities and behavioral health centers. Collect Rx has advised providers on thousands of claims since its founding in 2006. Berkery Noyes served as exclusive strategic and financial advisor to Collect Rx. Oxford Finance LLC served as sole lender and lead arranger on the transaction. New Capital Partners (NCP) is a private equity firm headquartered in Birmingham, Ala. NCP makes investments in niche, tech-enabled services companies in the healthcare, financial and business services industries. 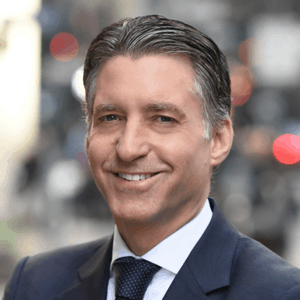 Because of the firm’s extensive operational experience, the firm seeks to gain significant value in portfolio companies by focusing on one core goal: building great companies. For more information, please visit www.newcapitalpartners.com. Collect Rx is a niche RCM provider headquartered in Bethesda, Md. Founded in 2006, the company focuses on providing their services to surgery centers, hospitals, physician-owned practices, laboratory diagnostic facilities and behavioral health centers. The company supports providers on appeals management, negotiation management and traditional RCM services. Collect Rx utilizes its proprietary software to deliver their services, helping hundreds of providers collect on out-of-network claims. For more information, please visit https://CollectRx.com/. Oxford Finance is a specialty finance firm providing senior secured loans to public and private life sciences and healthcare services companies worldwide. For over 20 years, Oxford has delivered flexible financing solutions to its clients, enabling these companies to maximize their equity by leveraging their assets. In recent years, Oxford has originated over $4 billion in loans, with lines of credit ranging from $5 million to $100 million. Oxford is headquartered in Alexandria, Va., with additional offices in San Diego, Calif.; Palo Alto, Calif.; and the greater Boston and New York City areas. For more information, visit www.oxfordfinance.com.